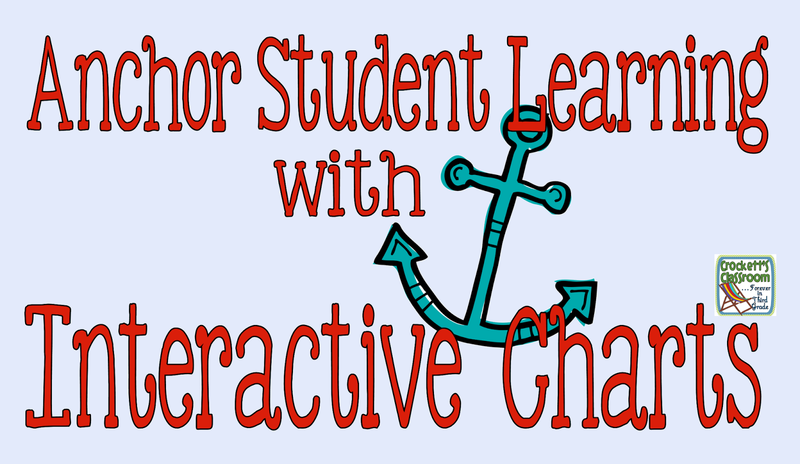 Interactive Charts are a fantastic way to get students involved in a lesson! Anchor charts seem to be popping up everywhere! I love them, but why not get more from them by making them interactive. Instead of just presenting information, add an interactive element so kids can feel more involved. Since I'm artistically challenged I create my charts with the cut and paste method. 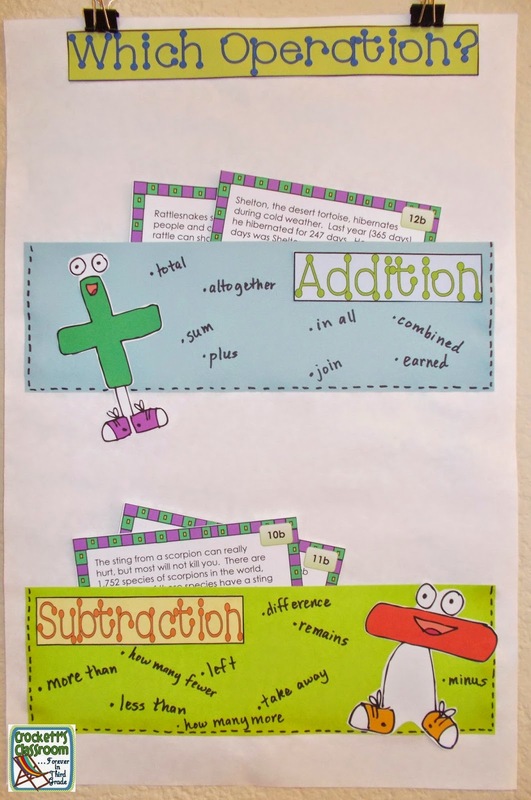 I create the title and other elements on my computer, cut them out and glue them in place when I'm introducing the anchor chart in class. I love, love , love the Elmer's Craft Bond Repositional glue sticks! 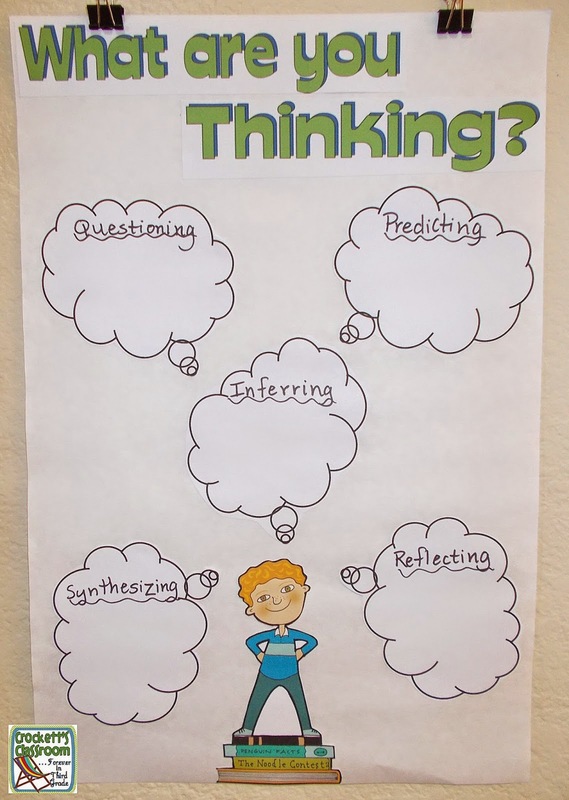 They're perfect for these anchor charts. 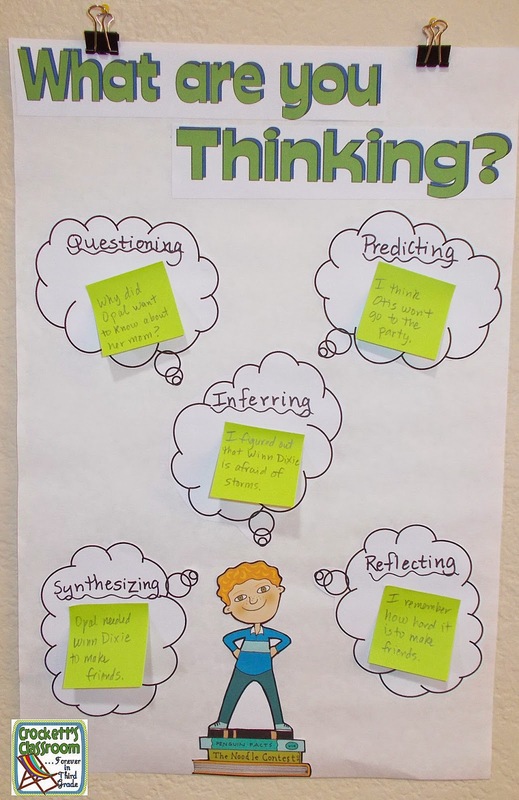 Sticky Note Spaces--- When you create your anchor chart, design spaces for students to add sticky notes. Pockets--- Why not add pockets to your anchor chart? When you're talking about solving word problems students can search for words that indicate the problem will requiring adding or subtracting. These key words and phrase can be written on the chart. 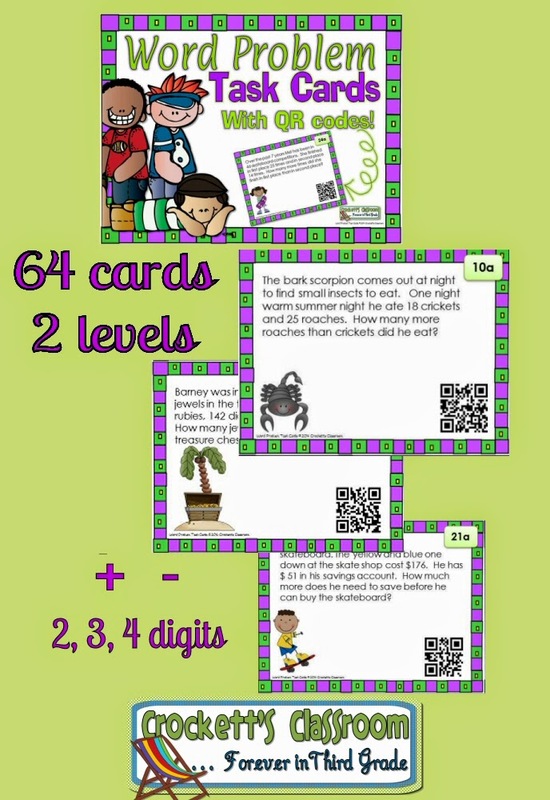 Then word problem task cards can be sorted into the two pockets. 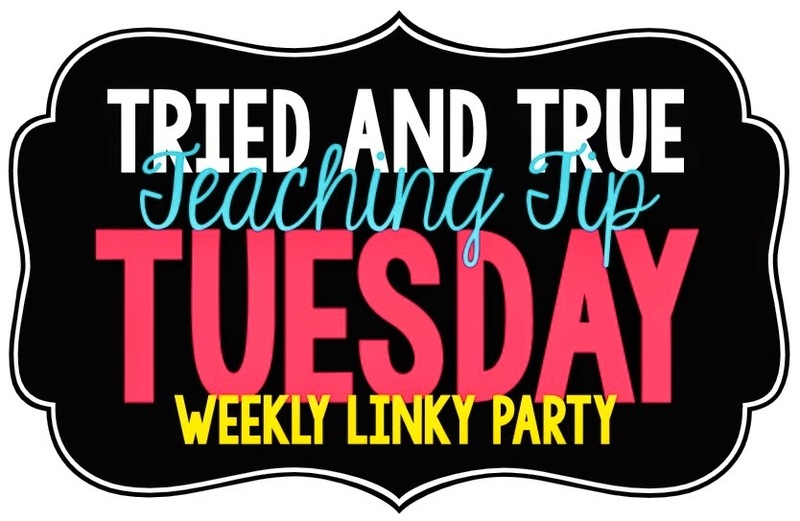 Check out these other terrific ideas on Tried and True Tuesday Teaching Tips.